As announced by Dean Talmadge King on August 7, Michael Gropper, MD, PhD, has been appointed chair of the Department of Anesthesia and Perioperative Care, effective September 1, 2015. Dr. Gropper has served as interim chair of the department since April 1, 2014. Dr. Gropper is a professor of anesthesia and perioperative care. In addition, he is a professor of physiology and an investigator in the Cardiovascular Research Institute (CVRI). He is internationally known for his work in improving outcomes in critically ill patients and has spearheaded successful efforts to reduce hospital-acquired harm in the ICU, especially catheter-related bloodstream infections and ventilator-associated pneumonia. His research interests include acute respiratory failure, severe sepsis, transfusion lung injury, and teamwork and communication in the ICU. He is the principal investigator of Project EMERGE at UCSF, a comprehensive program to prevent harm and engage patients and families in their care in the ICU. Dr. Gropper has authored over 100 peer-reviewed publications and has received both NIH and private foundation funding for his work. Gropper will lead the third largest department in the UCSF School of Medicine with over 125 faculty, 88 housestaff members, and 20 fellows. The Department has very active clinical units at UCSF Medical Center, UCSF Benioff Children's Hospital, San Francisco General Hospital, the Veterans Affairs Medical Center, and UCSF/Mount Zion Medical Center. The Department provides anesthesia service in more than 50 locations daily. The Department consistently ranks among the nation’s top departments of anesthesia and has ranked first in NIH funding for anesthesia for 10 of the previous 11 years. 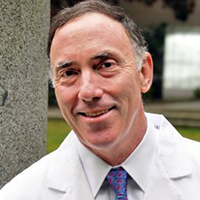 A San Francisco native, Dr. Gropper received his undergraduate degree in physiology from UC Davis and his PhD in respiratory physiology at UCSF, where he studied under Norman Staub in the CVRI. After obtaining his MD from UCLA, Dr. Gropper returned to UCSF and completed a residency in anesthesia and a fellowship in critical care medicine. He has remained on the faculty ever since and works clinically in the Moffitt and Mission Bay operating rooms, specializing in thoracic anesthesia, and in the Moffitt/Long ICUs. Dr. Gropper has served the University in several capacities, including as director of Critical Care Medicine and chairing the Quality Improvement Executive, Critical Care, Credentials, and Bylaws Committees. He is also the former president of the Executive Medical Board of the Medical Center.